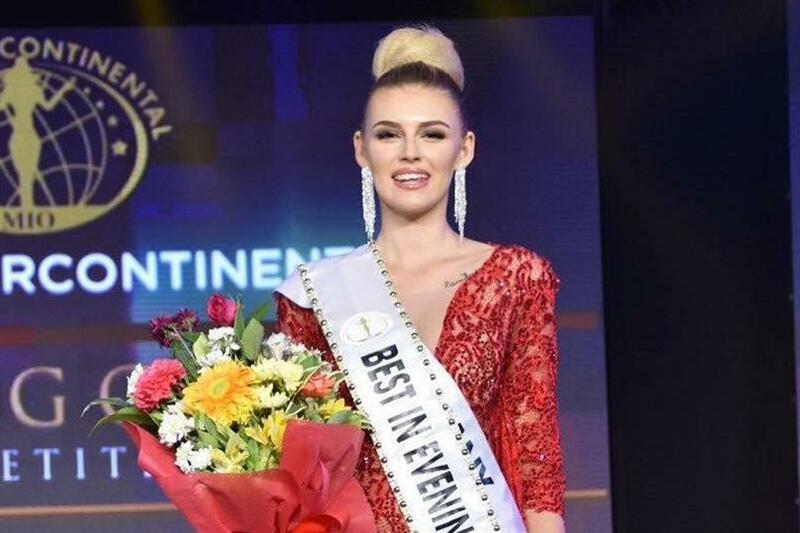 The 47th edition of Miss Intercontinental is just days away from reaching its conclusion and the organisation is currently hosting its preliminary competitions. Just a few hours ago, the Evening Gown Competition and Philippine Designer Filipiniana fashion show were held where the contestants proved their mettle by showing elegance and class in their evening gowns. Olivia Moelle of Germany was awarded the title of Best in Evening Gown at the end of the event. She rocked the show in her hight slit red gown which perfectly showed off her toned legs and well-maintained figure. She teamed her look with a high bun and huge earrings, looking absolutely gorgeous. She was the epitome of confidence and elegance at the event. Olivia’s gown was created by Filipino designers Francis Deney Ruiz Sunga and Richard Gibas Tumibay under their Fashion Label Thread by Far Fashion Couturiers. The Red all lace gown is accentuated with red ruby coloured stones and the inspiration is the red phoenix, which shows the bold determination of Olivia. 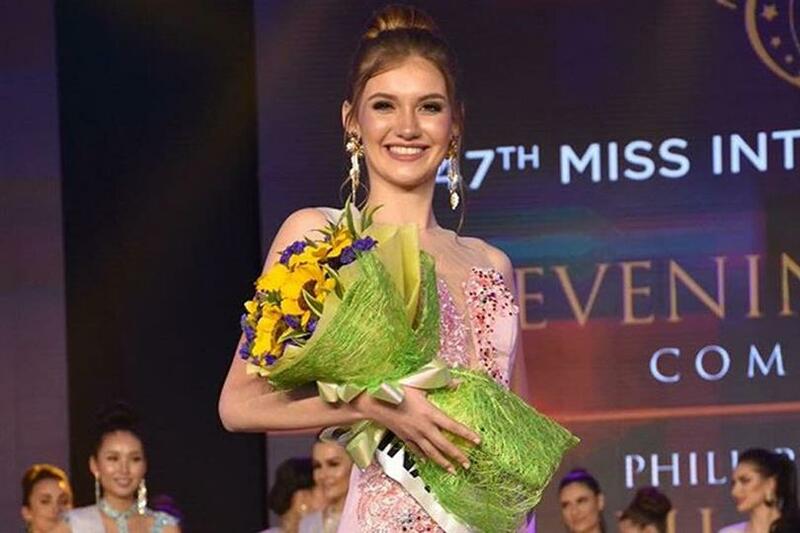 Apart from the Evening Gown Competition, Celivilla Lobos from Argentina was awarded the title of ‘Best in Filipiniana’ at the fashion which was held along with the Evening Gown Competition. Maricris Dela Piña won the Best Designer award at the competition.